Bob Williams sold an orchard and started the business 25 years ago. Exceptional quality printing with 25 years of experience. 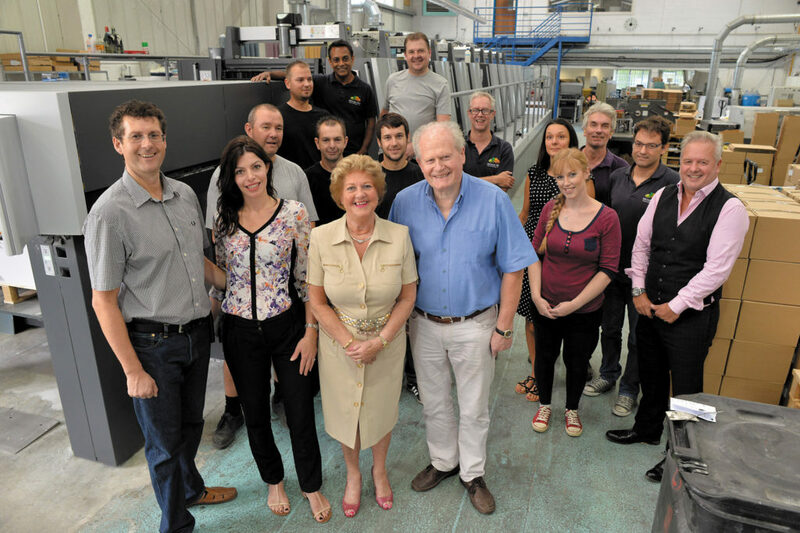 The business grew from B2 to B1 and continued investment in the latest print and colour technologies ensures Orchard remain at the forefront in a changing industry and give customers the quality of print that meets and exceeds their expectations. We are proud to have won an award for our achievements and continue to invest in the best quality printing services and staff who give our customers a pleasurable experience. With the addition of the 10 colour press and the space requirements needed for related pick-and-pack services, we moved to a purpose-built facility in Tewkesbury, where Adrian Williams now runs the operation from Northway, adjacent to the M5. Many staff have ink in their blood. Some have been with the business since Bob started it. We welcome you to come and see our state of the art facilities and learn more about the print processes whilst you visit. Stop in and say hello when you’re passing.